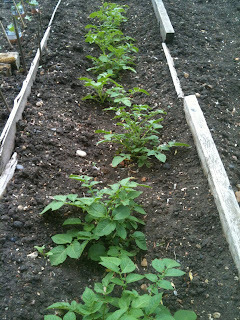 Potatoes – a lovely row of plants that will soon be covered up to encourage more potatoes to grow from the plants! 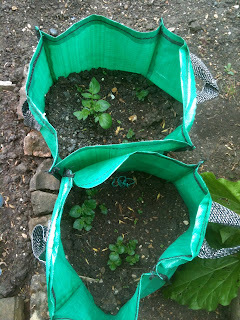 Bag potatoes – planted a few weeks after their cousins in the ground, these bag potatoes are sprouting nicely. 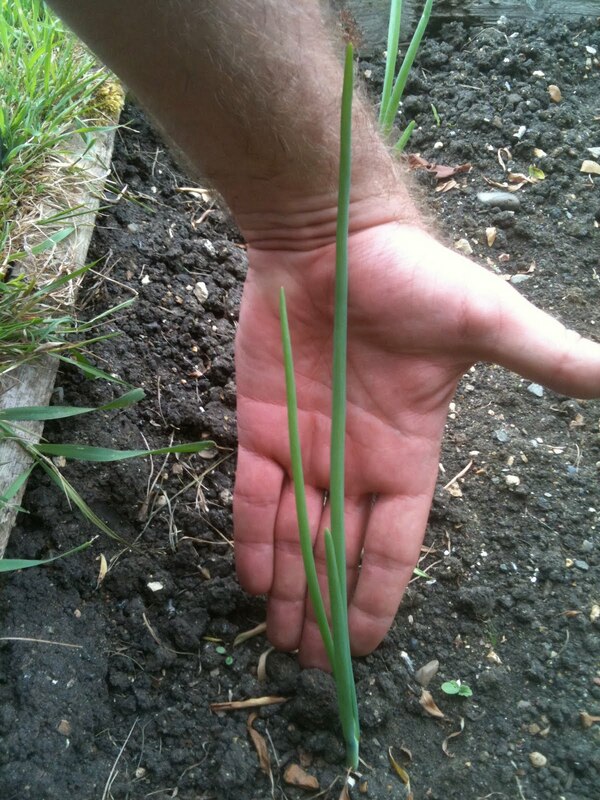 Onions – currently sending up shoots that are as long as my forearm! 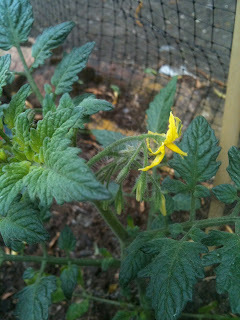 Tomatoes – shop-bought plants starting to flower. 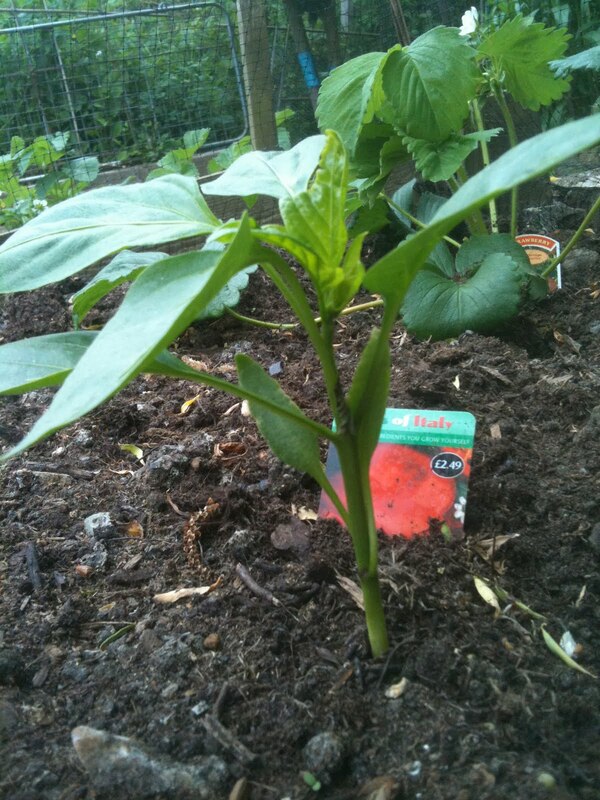 Pepper plants – shop-bought once again, but establishing themselves nicely in the ground. Strawberry plant – just the one, so purely for effect (and a few strawberries for the missus), but the plant has taken nicely and is starting to form baby fruit. 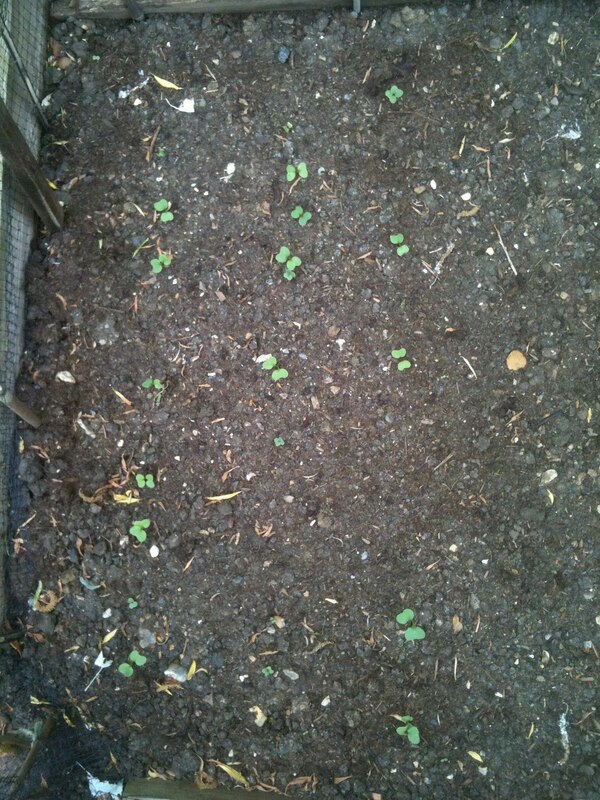 Radishes – only planted last week, but up already. 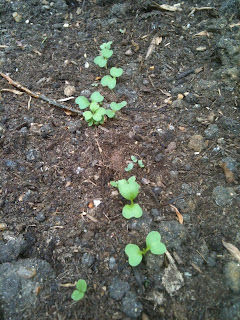 Salad leaves – again, like the radishes, only in the ground a week, but up already. Carrots – one of the allotments longest residents, and one of its infants. Feel as if I'm going to struggle to produce some crops in this bed. Peas – 8 pea plants split from one pot – establishing very well in the ground. 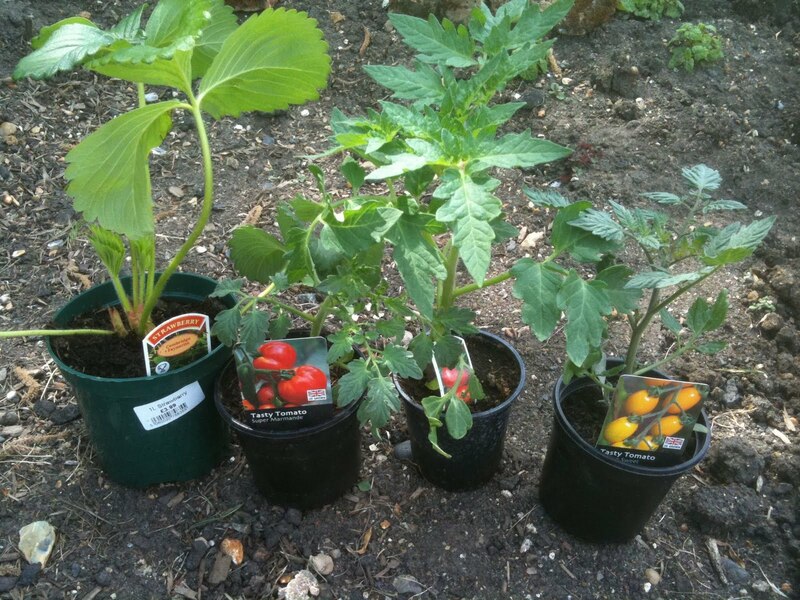 Courgettes, cucumbers, tomatoes and basil - seeds growing in pots at home. 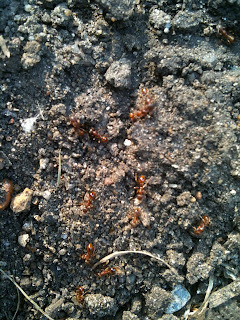 Well, upon yet another Bank Holiday visit to the allotment (these have been frequent in recent weeks! ), the first thing I did was to go and cast my eye over the stricken runner bean crop – and see whether Wednesday's defences had had any effect. As you can see, this is just one of the beer traps, but its result is beyond doubt. Not only has this proved to very effective in the fight against allotment antagonists, but has also shown that slugs were indeed the responsible protagonists. So, whilst my fledgling runner bean plants will not win any prizes for appearance, they are, however, starting to grow a bit better and establish themselves. 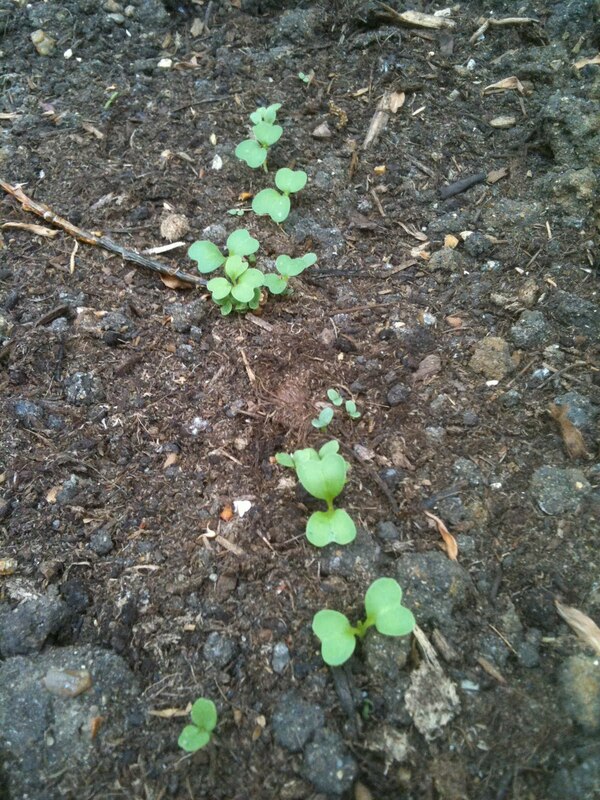 More regular readers of the London Vegetable Garden blog may remember that a few months ago, I sent off for a 'Rocket Gardens' pack of baby vegetable plants. Well, this week I received an email from the Cornwall-based company stating that my baby vegetable plants would be delivered within the next 5-10 working days. 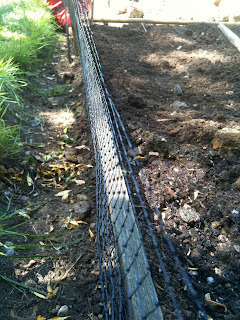 As always, all progress will be reported here, on the blog, the minute it happens, so watch this space! Once the baby vegetable plants arrive, the allotment will look a very busy place indeed! Now, my immediate reaction was one of pure guilt. 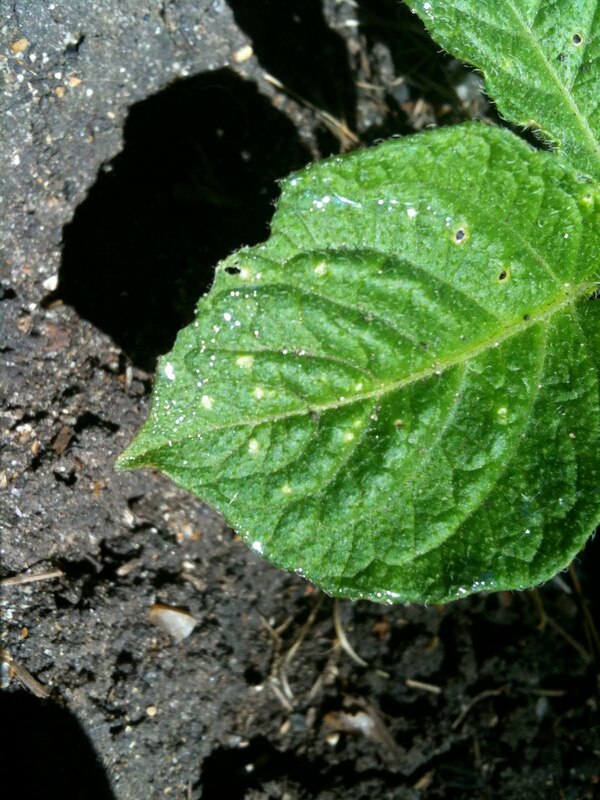 For the past 2 weeks I have been cursing slugs and snails for chomping up my crops, when in actuality, these creatures are the much more likely culprits – a thought solidified as I started to observe them crawling all over my plants! 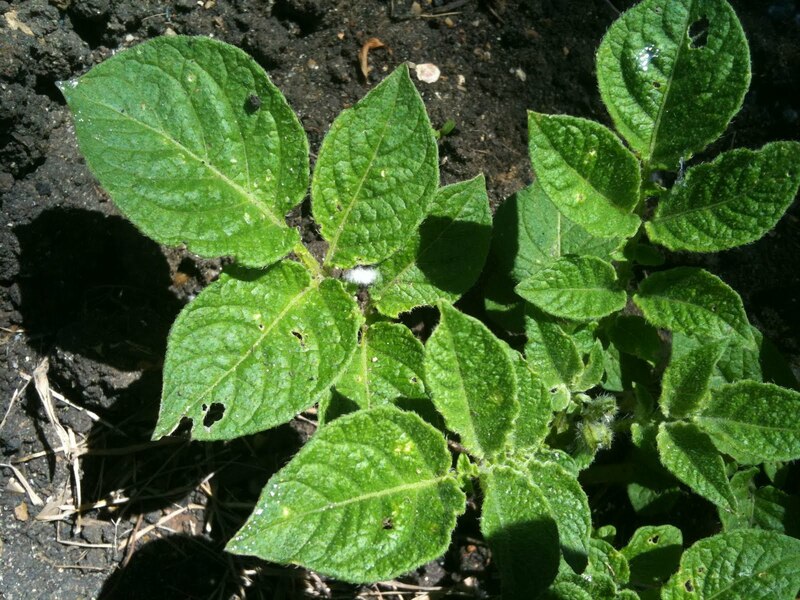 My second reaction was one of pain and irritation, as I was foolish enough to kneel down and receive a couple of bites – I guess my knee is much more tastier than pea plants! Anyway, I know have a new – and pressing – pest problem. I turned over a few more bricks and this is not the sole instance on the allotment. 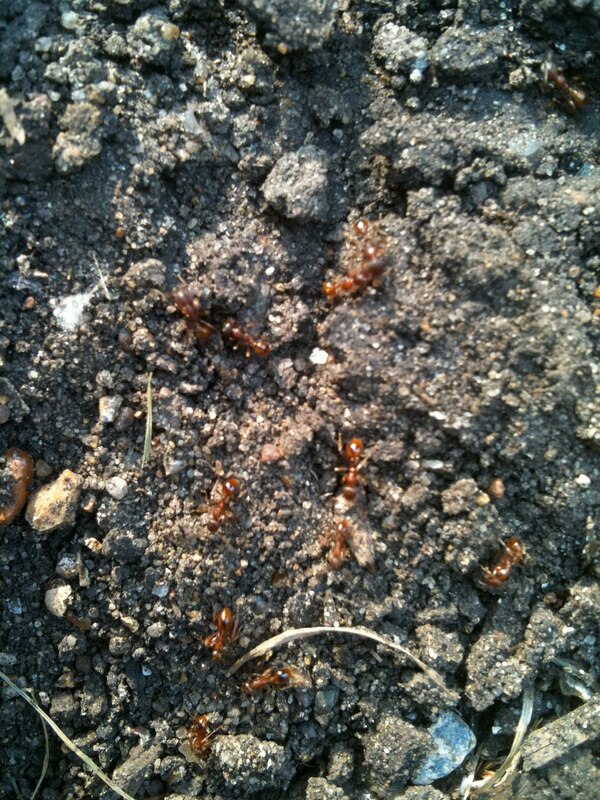 If you have any tried and tested tips for getting rid of ants (organic only to start with), please let me know! I'd hate for my crops and all of my efforts to be wasted by these pesky creatures. Answers on a postcard – or even simpler, in the comments box below! 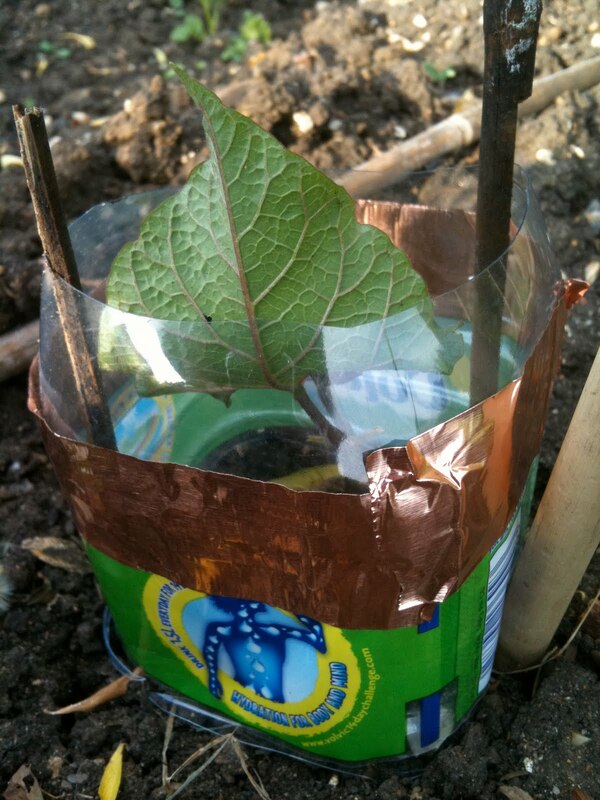 Armed with a bag full of copper tape, cans of bitter, plastic bottles and a steely resolve, I set off to the allotment after work last night fully geared up for urban gardening warfare. My runner beans have been taking such a battering over the past couple of weeks that I decided to raid Google and the London Vegetable Garden's various Social Media outlets for advice on dealing with my mollusc menaces. Now, in keeping with the organic theme of my urban gardening project, I do not want to use any chemicals or slug pellets yet. With this in mind, I asked followers of the London Vegetable Garden's Twitter account for their organic remedies, to which copper tape, beer traps and coffee grounds emerged as the popular consensus – a huge thank you to everyone who helped me. 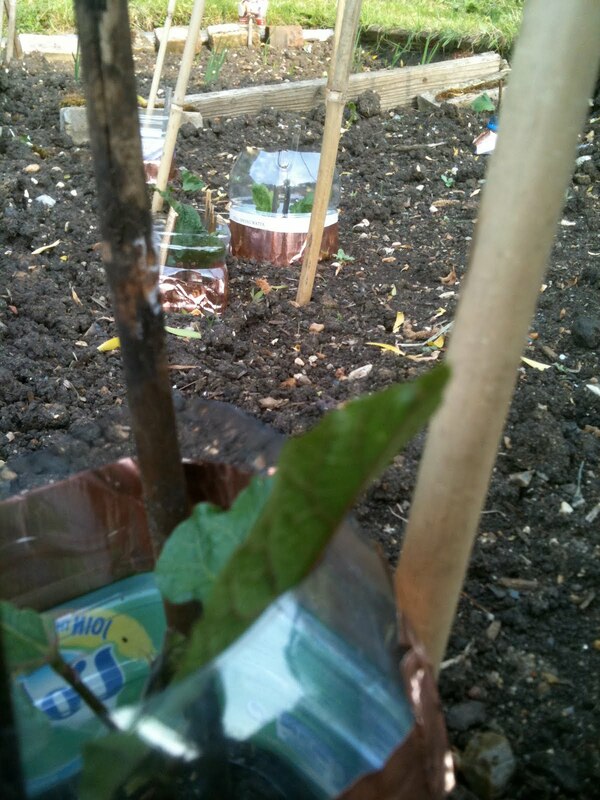 So, upon arrival at the allotment last night (a 4-mile run all round), I knelt down on the grass and started constructing plastic bottle shelters for the baby runner bean plants. I attached a ring of copper tape to each bottle top, as shown below, and then fixed these into place with bits of old bamboo cane. 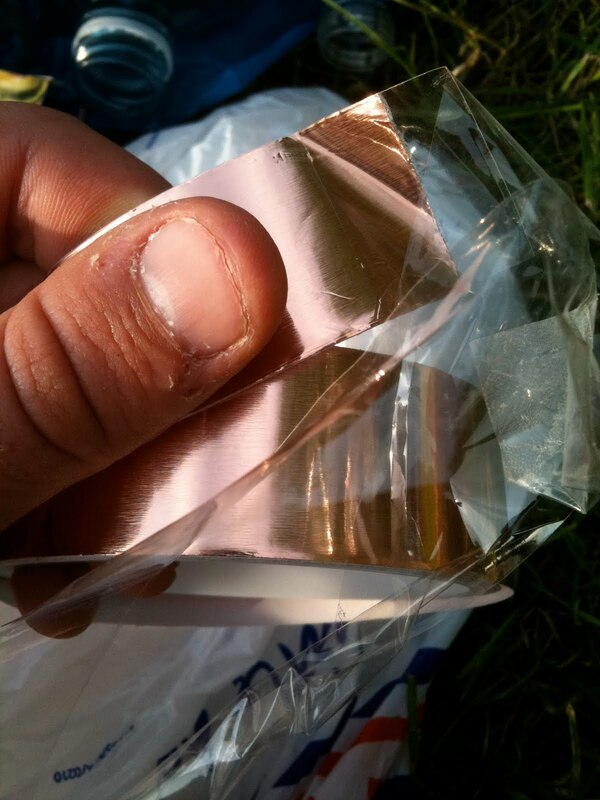 Now, for those of you not au fait with the merits of copper tape (and admittedly, nor was I until I sough the advice of various gardeners), a slug's mucus (slime) reacts with copper to cause a tiny electric shock, which understandably, causes the slug to give up on its quest for your crops! Whilst this has left part of my allotment looking like an episode of Doctor Who, I'm now hopeful that this will deter any slugs from munching on my plants! Another age-old technique for deterring slugs from your crops is to lay out beer traps. The premise is simple: attracted by the smell of the beer, slugs and snails will first seek this out, crawling into the trap and not being able to climb back out again. At least they die happy! Using a knife to cut out the bottom halves of water bottles, I sunk these into the soil so that the lip was level with the topsoil and then proceeded to fill these up with cheap beer. I used Tesco value bitter (4 cans for 97p) and hope to check back in a few days to see if I've had any visitors to my pop-up pub! Finally, I have been collecting coffee grounds from the coffee machine at work, storing these in a plastic bag ready for the allotment. Needless to say, what with this activity, and purchasing cans of Tesco value beer in Richmond, I have been receiving some very strange looks this week! Anyway, I ringed the runner bean plot with old coffee grounds, as apparently slugs detest these too, so I'm hoping that now I have taken more than enough precautions! P.S. 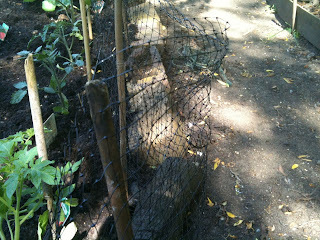 Any slug solutions you have had success with would be gratefully received! 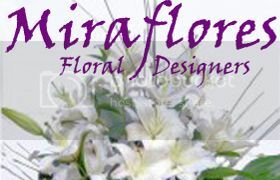 Simply leave a comment on this post for all to see, join the conversation on Twitter, become a fan on Facebook or join the brand spanking new Urban Gardeners' network. 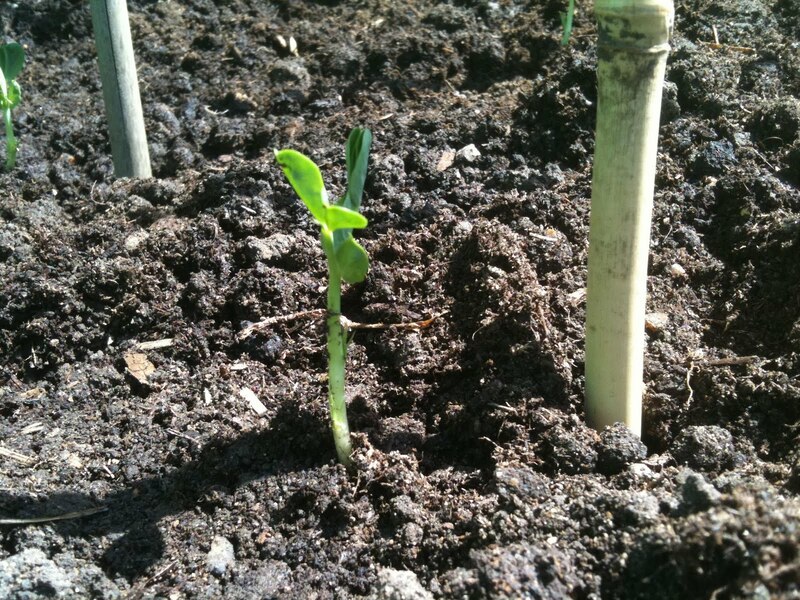 Another day, another seedling update. 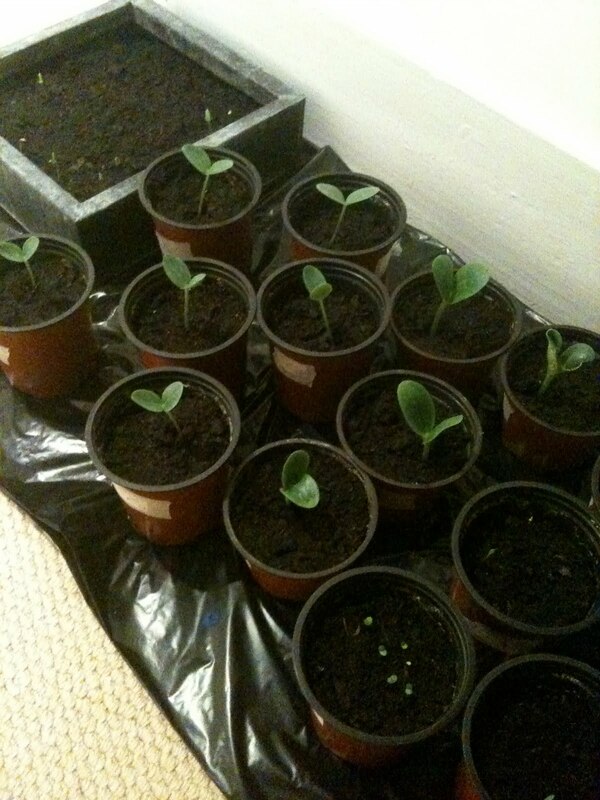 As you all know by now, I'm growing tomatoes (2 varieties), courgettes and cucumbers from seed at home in the flat, ready to transplant to the allotment as soon as they're big enough. 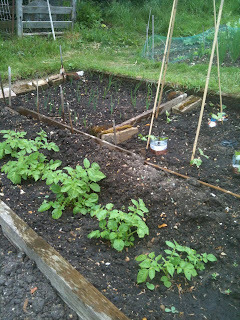 It's now been 10 days since I planted the seeds and the weekend's cucumber and courgette arrivals have now been joined by both sets of tomatoes – and the basil too. I'm not sure how long it will be until these plants are big enough to plant out, but I presume it will be another few weeks yet. I'd like to say a huge thank you to Isabelle Palmer over at The Balcony Gardener website for featuring me in her latest blog post. As the name suggests, The Balcony Gardener is a fantastic gardening website dedicated to everything from plants to garden furniture – everything needed to make your outside space special, whatever it's size – which is something I relate to! 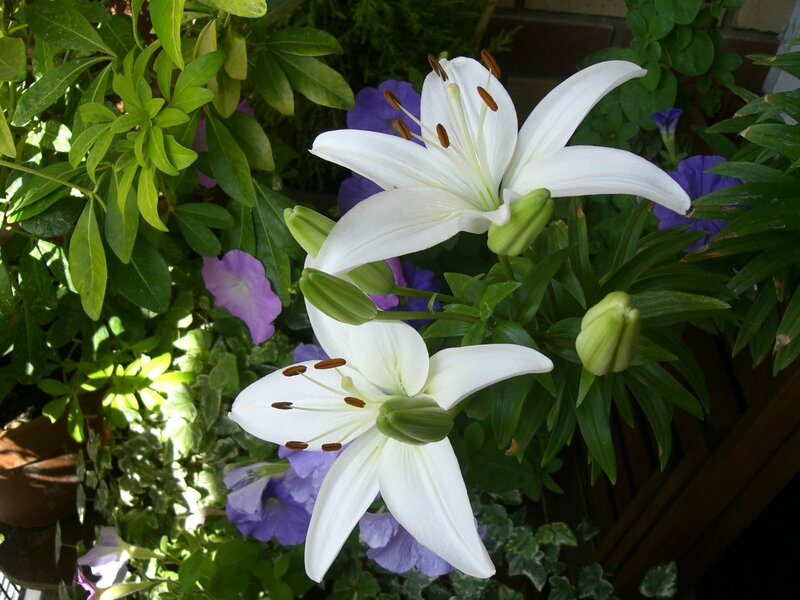 Anyway, in the latest edition of The Balcony Gardener blog, Isabelle talks about my new social network site for urban gardeners, the aptly named Urban Gardeners! 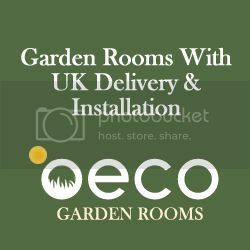 Have a read of the blog article by clicking here – and why not have a look around the site while you're at it – there really are some fantastic things to buy for your balcony, patio and garden! A week ago last Sunday, I went into organic overload and planted up a variety of vegetable seeds in the London Vegetable Garden potting shed – also known as 'the kitchen'. I managed to successfully tidy up the mess I made; the array of flowerpots dotted around the flat are the only signs of my earthy exploits. As I explained in last week's post, I have been keeping these pots beneath a warm windowsill. I have placed them on a bin liner, not only to prevent soil and water from staining the carpet, but also because black absorbs heat well. 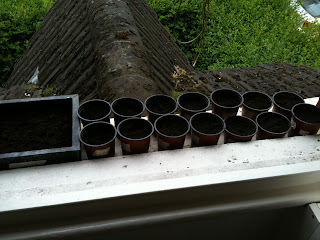 Well, exactly one week on, and no doubt helped by a very hot weekend sat out on the windowsills, the seeds have sprouted! 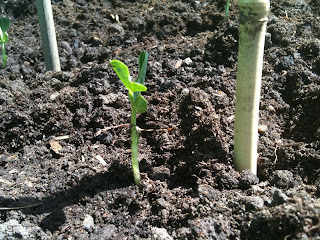 Well, to be precise, the cucumber and courgette seeds have sprouted. There is a miniscule stem poking through the surface of my Tigrella tomato tray, but this is too small to photography just yet. As for the courgette and cucumber plants, every one of the seeds I have planted (one to a pot) is now up. 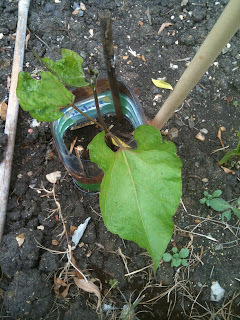 Here is an example of the flourishing flowerpots – the courgettes (slightly thicker) are on the left-hand side, the cucumber plants on the right. 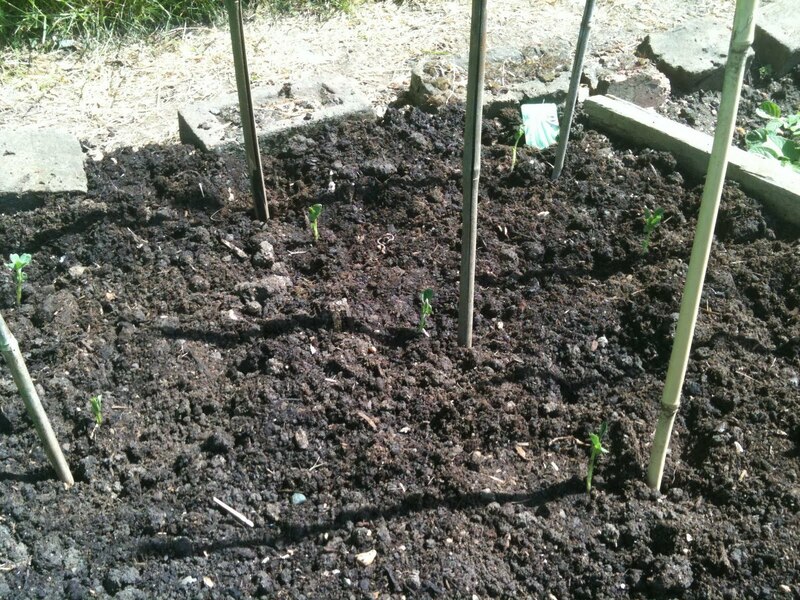 Hopefully they will be much bigger – and joined by the tomato plants – this time next week. 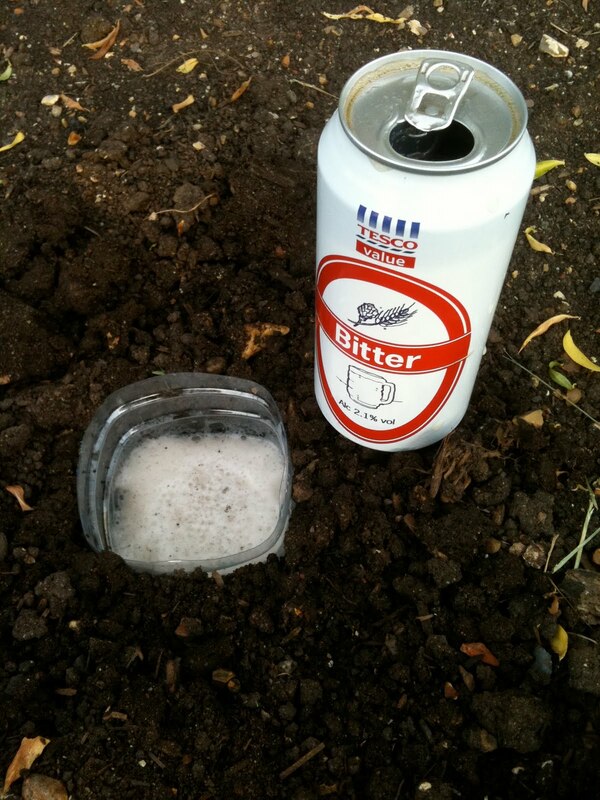 Last week, I happened to be enjoying an ice-cold beer in a beer garden (I forget where – this could be due to the beer! ), when my mobile phone started to ring. It was none other than Charles, a.k.a. 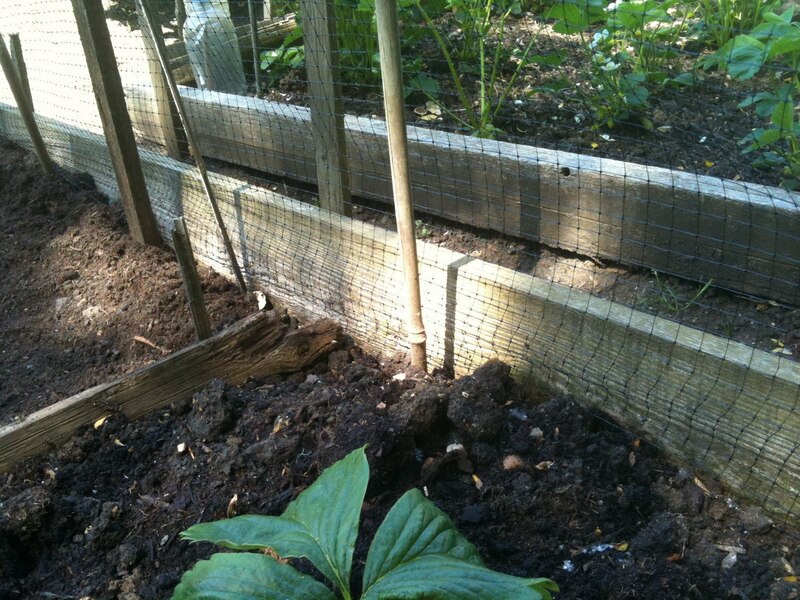 Grumblemouse, who through the wonder of Social Media, has become a firm friend and passionate partner in plant crime! He informed me that there was a rare plant fair being held at the Inner Temple Gardens at the weekend and suggested that we check it out. 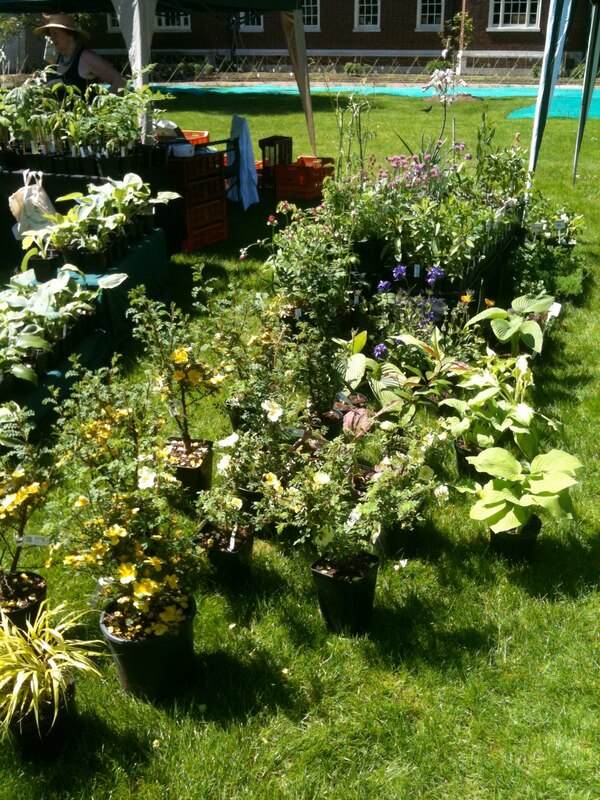 Well, needing no second invitation, I agreed; keen not only at the opportunity to purchase some rare plants, but also to see what a garden fair in the very heart of London would look like. So, today I braved the blistering sun (no mean feat for men of the bald community) and ventured into Waterloo by train and then onwards by foot, taking in the South Bank, Waterloo Bridge and Victoria Embankment before arriving at Temple. Once arrived, I met up with Charles and we proceeded to enter the Inner Temple Gardens. What met us was an incredible sight – a radiant lawn in the middle of stunning London architecture, with stalls and tables dotted everywhere, packed with rare flora and fauna. I readily admit; it was strange to have a country-like plant fair in the very middle of London – at the end of the lawn were four lanes of traffic and the river Thames! Nonetheless, the setting was idyllic and rather grand. In the end, I ended up having a fascinating conversation with Tony Marden. He runs Shady Plants, a small nursery based in Gloucestershire , specialising in arisaemas, amorphaphallus and other aroids and indeed, it was the rather spectacular Ariseaema Tortuosum that caught my eye and got me chatting with him. 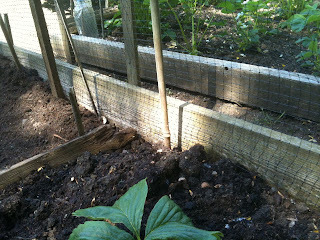 Tony caught the arisaema obsession about seven years ago after buying an 'empty' pot at a flower show and has been growing them ever since! As you can see, one is slightly behind the other, so I plan to enjoy watching this grow and unfurl over the coming few days! 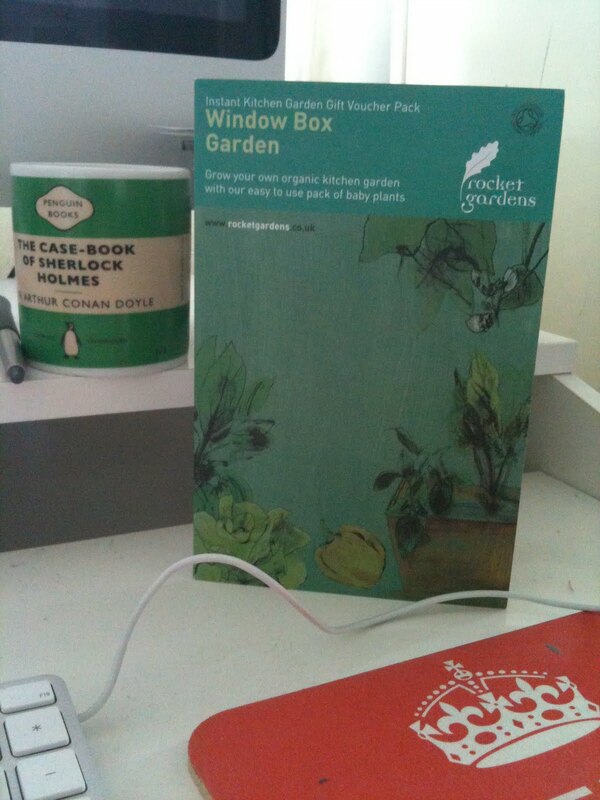 Had I not been so light in wallet this weekend, I would have invested in a great many more plants for the flat. The rare plant fair was a thoroughly enjoyable affair, with friendly gardeners and growers more than happy to offer advice, tips and help. Although London Gardeners have now missed the boat this year (in hindsight, I should have written about this prior to the event), the rare plant fair is being held all around the country over the coming months. Visit the website to see if it's coming to an area near you – I wholly recommend it. I was on my way to a rare plant fair in central London earlier today (write-up tomorrow) and paused to take this picture on the South Bank. Beautiful. 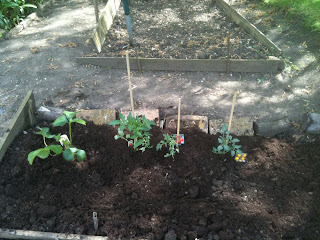 It has now been a little over a month since I arrived in Richmond and started gardening on the London Vegetable Garden allotment. This weekend was fantastic for visible progress and along with the potatoes and carrots, the runner beans and onions are now shooting up as well. 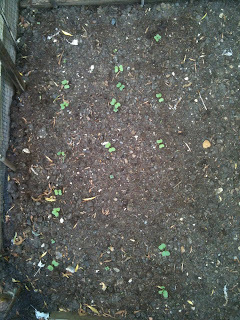 If I can keep the slugs and snails at bay, it looks like it could be a very good year for the London Vegetable Garden! A few weeks back, I posted a blog about Rocket Gardens, the company that grows baby vegetable plants down in west Cornwall and then posts these to you to pot out in window boxes, in pots on the balcony, in the garden or down at the allotment – perfect for urban gardeners. I received an email from the company the other day saying that their plants were taking a little longer this year, due to the frosts we've continued having. Nevertheless, the plants are on their way and will be here shortly, which should make for some fervent activity down on the London Vegetable Garden allotment! In the meantime however, I am growing cucumbers, courgettes, two varieties of tomato and basil, all from seeds, in pots dotted on various windowsills around the flat. 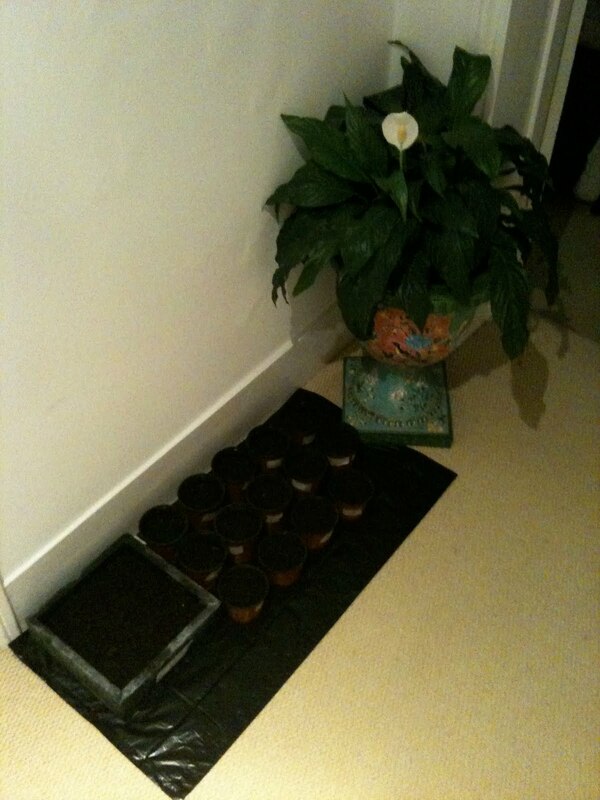 I am supplanting these home-grown efforts with organic baby plants purchased from the local garden centre in Sheen. These have all been potted in the raised bed with netting firmly erected around them. The plants I purchased a fortnight ago have all settled in extremely well, so I'm hoping that these do the same! With Britain basking in truly glorious warmth and sunshine this weekend, a full day down at the London Vegetable Garden allotment was inevitable – and much needed as it transpired. Whilst the Concrete Jungle is full of fag-ends, litter and pollution, the real jungle of an urban allotment is teeming with all sorts of hazards – hazards that like to eat! As you can see from the pictures above (you can enlarge them by clicking on them), my plants have all been visited by mollusc menaces this week, including some baby runner bean shoots that have just sprouted. 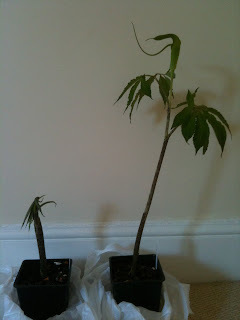 This situation clearly needs to be dealt with (especially once I start growing salad leaves! 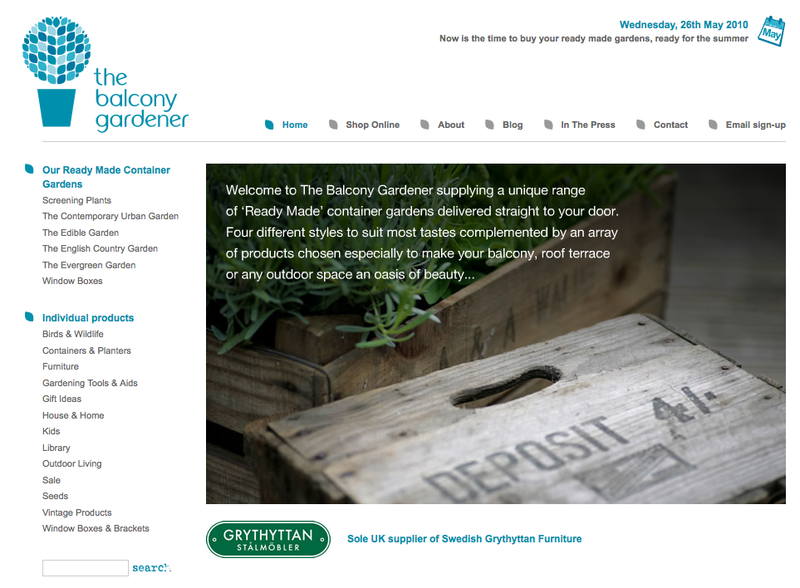 ), so I set to and headed back to the local garden centre to see what I could pick up. In the garden shop, there was a wide range of slug pellets; however, I am keen to keep the London Vegetable Garden organic and chemical-free. Every week, I'm still visited by the robin who picks off the worms I dig up, so I'm keen to avoid harming him and others like him. Mind you, come back and see how I feel when they're pecking up all of my strawberries! I'm not sure how much of a deterrent this will prove to be, but for the while, it's a start. 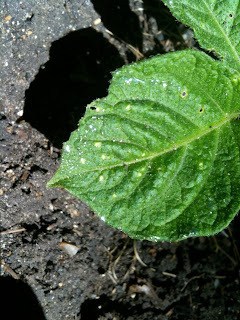 I've posted a question about slugs on the Urban Gardeners website, so I'm hoping to pool knowledge from there – and here – that will help me defeat these perennial pests! My girlfriend has said that eggshells are supposed to be a good deterrent, as is salt – has anyone had experience of these, or indeed, anything else that may help? I look forward to hearing your tips! 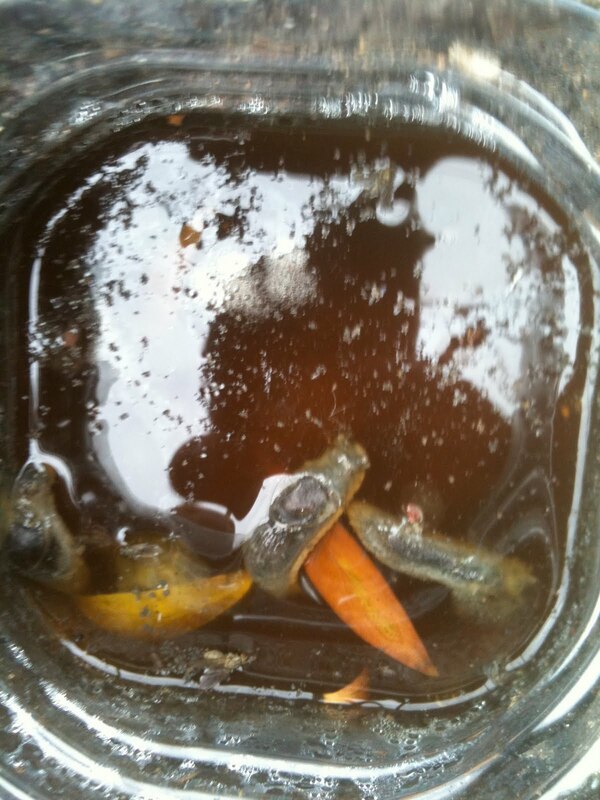 Do you have any tips on beating slugs organically? 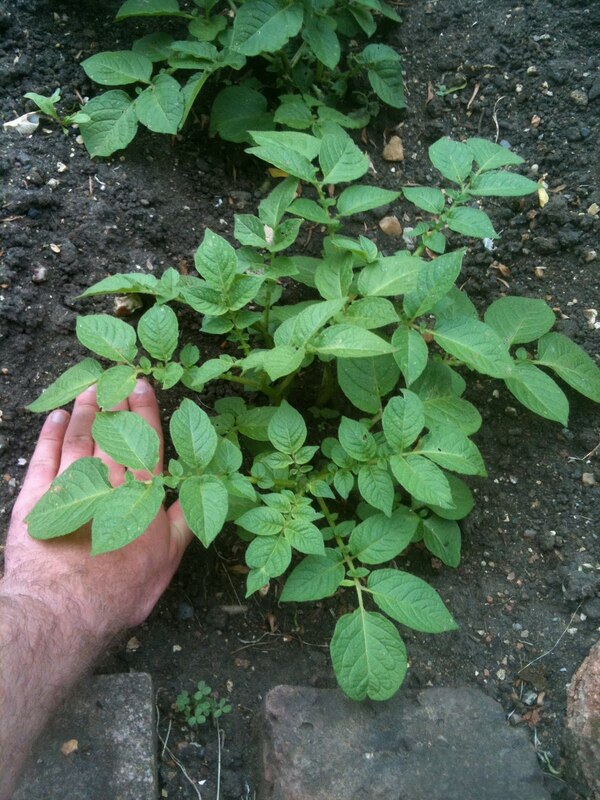 Please leave your comments on this blog post, or alternatively, in the forum on the Urban Gardeners website – a new social network for urban gardeners to come together and share tips, advice and support. 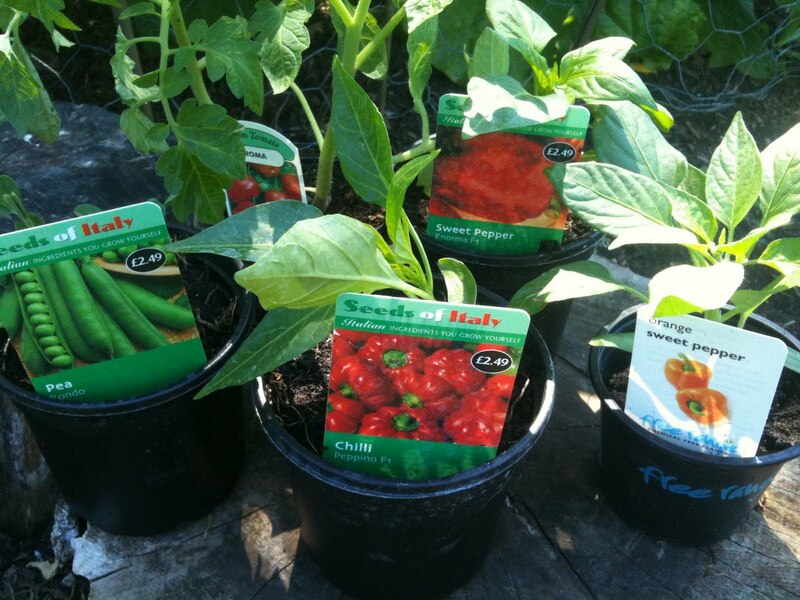 There's no doubt that the days are now really drawing out, with sun-soaked evenings giving urban gardeners nationwide an extra few hours each day to amble on the allotment, brush up on the balcony or potter on the patio. The season is unquestionably changing, with the flourish of springtime blooms and activity now making way for the warm climes of the British summer – perfect for growing plenty of vegetables! As well as observing the changing seasons on the London Vegetable Garden allotment, I've also been keeping up with ITV's fascinating 'The Seasons' programme. In this four part series for ITV1, everyone’s favourite gardener, Alan Titchmarsh, goes back to his roots to find out how our changing seasons affect everything around us. The series reveals the profound and far-reaching impact that each season has on our wildlife and landscape, and how they shape the way we all live. I was very kindly sent a copy of the album to review and can honestly say that Goodall's compositions are superb, chronicling each of the seasons so delicately and beautifully with haunting string compositions layered into sweeping arrangements. For those that have enjoyed watching The Seasons on ITV1 so far, or even for fans of classical music in general, Howard Goodall's sublime soundtrack presents the perfect accompaniment to gardening, be it on the balcony, down the allotment or in the back garden. You can purchase The Seasons album on Amazon by clicking here. The Seasons is on ITV1 every Sunday night until May 30th, from 7:00 – 8:00PM. For too long now, gardening has been perceived as a genteel pursuit enjoyed solely by members of Middle England’s bourgeoisie, or retirees with sweeping expanses of garden. Whilst this is, to a certain degree, very much the case, there also exists a grass-roots community of passionate, youthful, urban gardeners keen to shake off the shackles of stereotypical perception. Up and down the length and breadth of the country, there exist thousands of avid urban gardeners, transforming tiny back gardens, patios, balconies and windowsills into thriving urban oases, from balcony blooms to crops in pots. 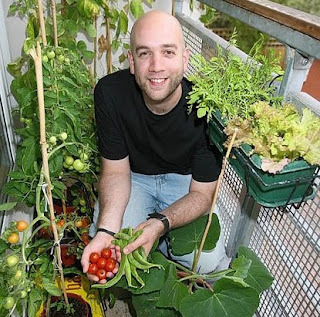 Urban Gardeners is a unique social network set up exclusively for this growing community as a place to come together, share experiences, offer advice and seek support. Gardening is an art – one of the most instinctive things in human nature – and this network aims to celebrate this fine art and shake off the elitist image that for so long, has blighted this humble pursuit. Welcome to a different kind of gardening. Urban gardeners is a brand NEW social network dedicated exlusively to urban gardeners and those keen to show that this noble art is not solely the preserve of old people! 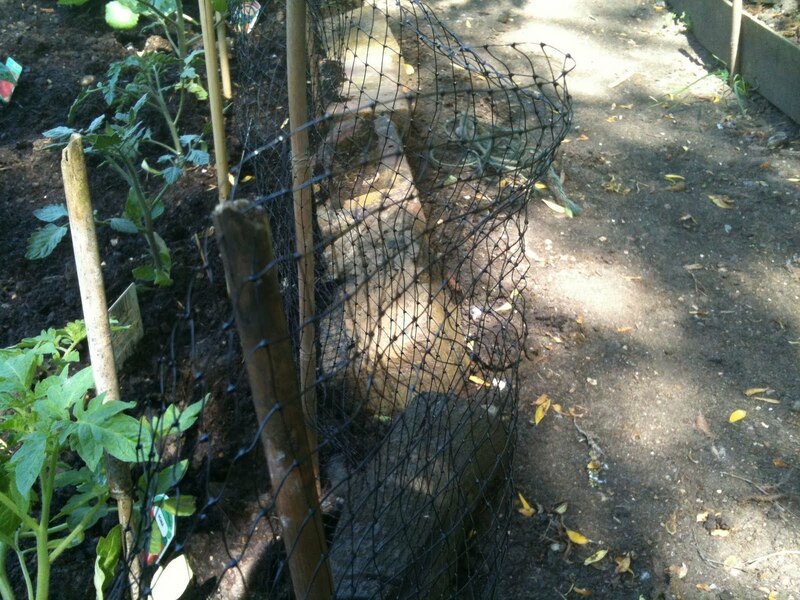 It replaces the London Gardeners' Network, which is being closed in July due to the introduction of extortionate fees. Please do visit it and get involved with this unique venture! 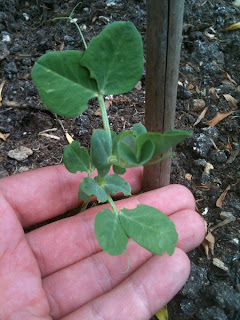 In recent weeks, I have focused both my gardening and blogging attentions on the London Vegetable Garden allotment. However, now is the time to focus once more on growing vegetables 'sans-garden' and demonstrate to all urban gardeners that enjoyment, plants and edible produce can all be had regardless of space. Following yesterday's vegetable plant purchases, my conscience has deemed it appropriate to spend today on my hands and knees in the kitchen spreading compost everywhere (to the absolute delight of the other half) and at long last planting some vegetables from seed. Some of these seeds will be transplanted to the allotment when big enough, whilst some of them will remain 'windowsill' plants. After all, the London Vegetable Garden started as a project to see just what can be grown in an urban setting and this year is no different. If anything, the 'home' gardening will be much more of a challenge this year, since I am without even balcony this time! As for the tomatoes, half of these will be joining yesterday's allotment arrivals, while I aim to accommodate the remaining half somewhere around the flat. There' are two large bedroom windowsills that could be used to house something – but that something will need plenty of ingenuity! In the meantime, these pots are being kept in the hallway, in a spot that receives plenty of sun. I will also be covering these pots in cling-film to aid the germination process, but have found that if in a warm and sunny place, this is generally not required. 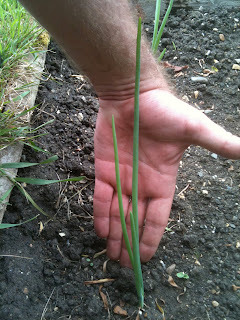 From past experience, I have found that germination differs from plant to plant, but generally see signs of life within one week to a fortnight. The minute these seeds start sprouting, you can rely on a swift blog post! 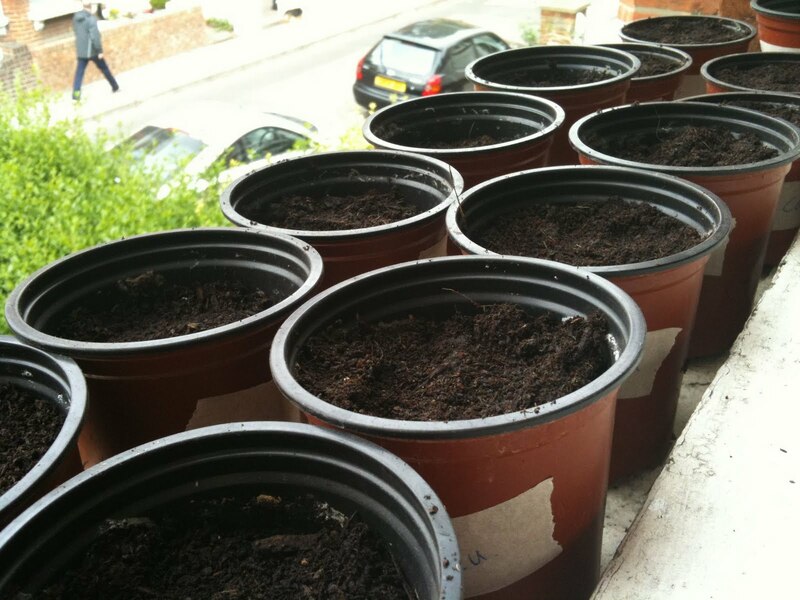 If you are looking for tips on growing vegetables on a balcony, in pots on a patio or even on a windowsill, visit the London Vegetable Garden archive! There's a wealth of information and advice to be had following my successes – and failures – last year. 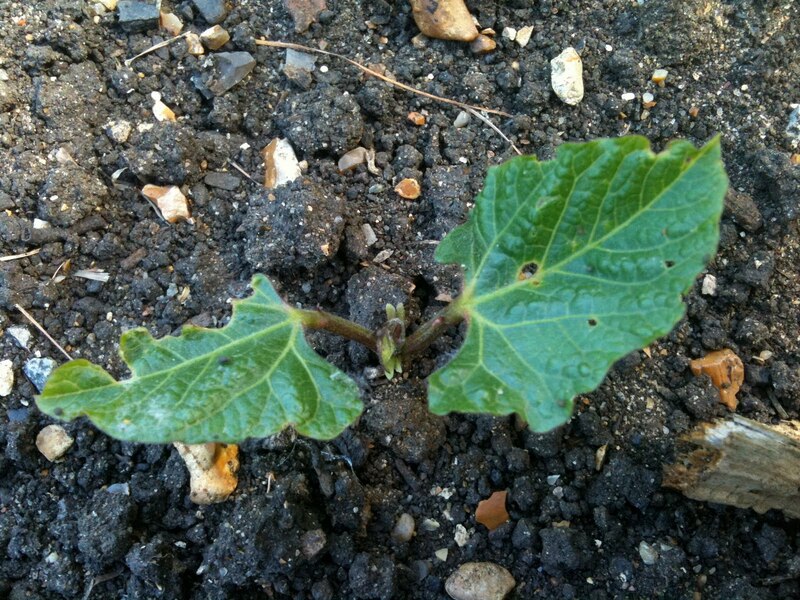 Alternatively, why not connect with other urban gardeners at the London Gardeners' Network, where there's a wealth of gardening knowledge to unearth. I have a confession to make. 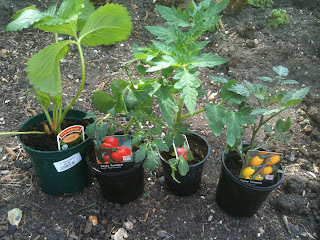 I have just purchased some strawberry and tomato plants from the garden centre. I have not grown these from seed. 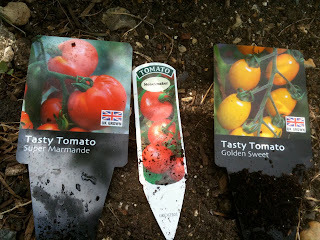 I am a bad, naughty urban gardener! OK, so maybe I'm being a little hard on myself. Work constraints have meant that I haven't got my act together and planted any tomatoes from seed so far this year, so I have made the decision to buy a couple of plants to ensure I do at least have something starting to grow at the present time! 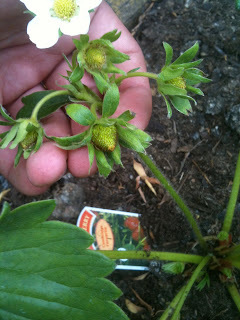 Along with a strawberry plant (I had one on the London Vegetable Garden balcony briefly, which promptly died! 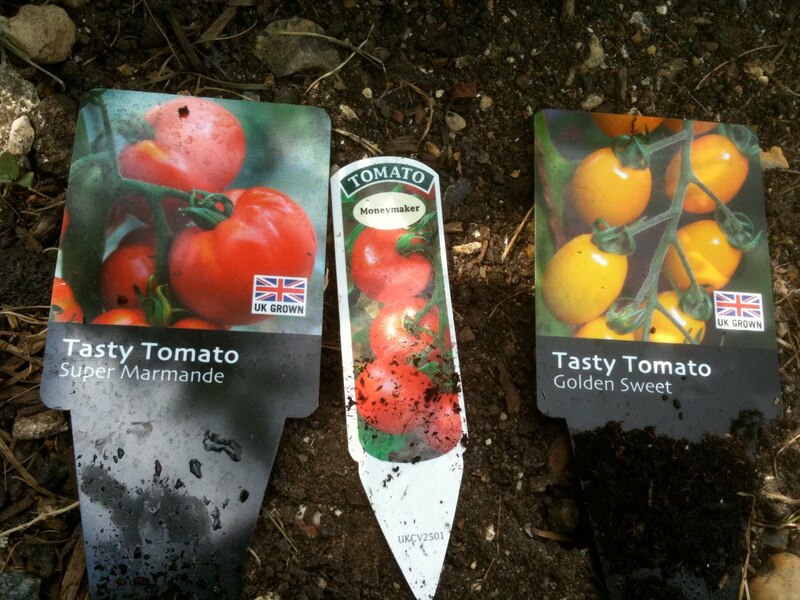 ), I have bought three different types of tomato plants, 'Super Marmande', 'Moneymaker' and 'Golden Sweet'. 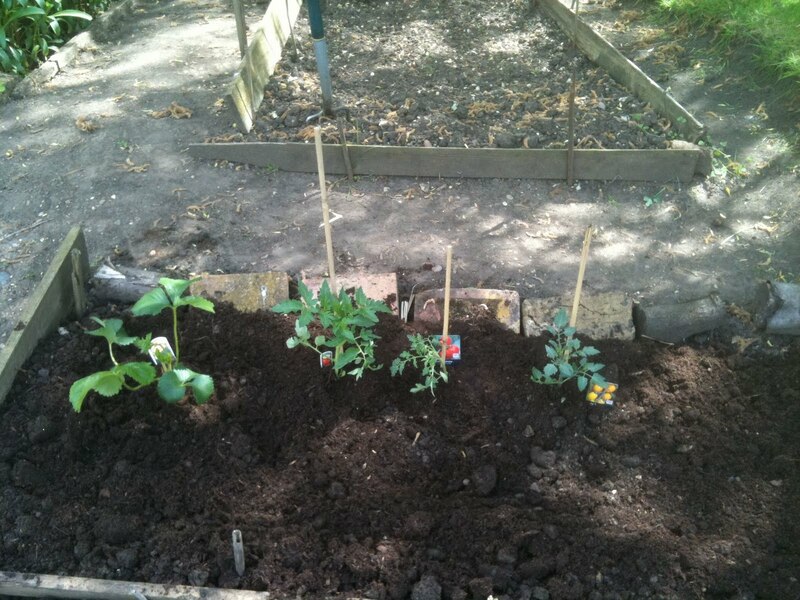 I also aim to get some marigolds in next to these tomato plants as a companion (whiteflies hate the smell), but for now am just hoping that these take well in my newly-dug raised bed!